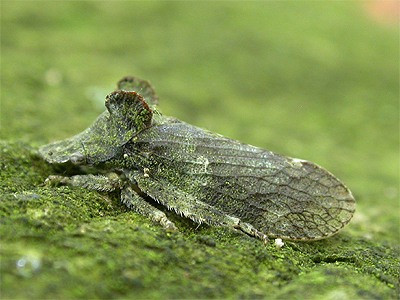 This is a rare leafhopper in Nottinghamshire and described as being local across southern parts of the UK. 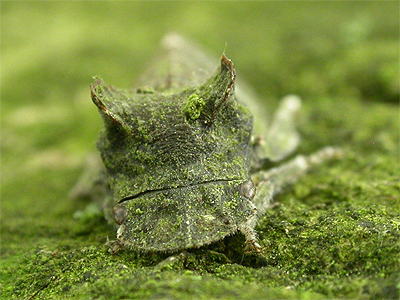 It is found on the algae/lichen covered bark of old trees, where it is perfectly camouflaged. 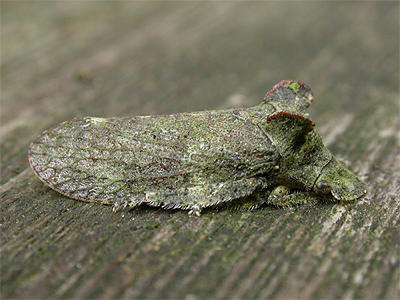 It is a rarely encountered species, and we were lucky to have this one attracted to an MV light at Sherwood Forest CP in August 2010. 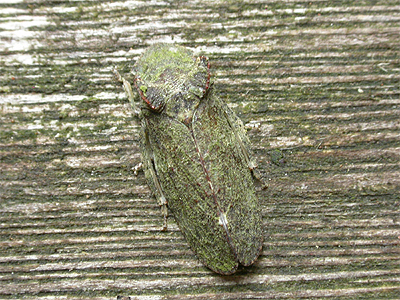 We recently were fortunate enough to find another in October 2012, on the trunk of a Beech at Holborn Hill Plantation, after thinking that it would be many years before we would get a second record. 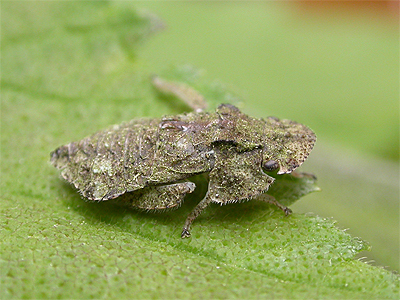 The nymph is shown in the lower two photographs. 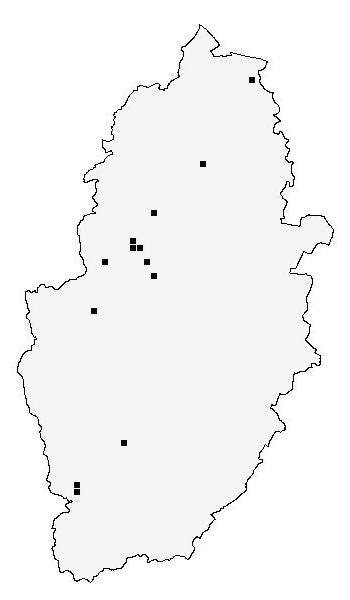 The records for the Nottinghamshire distribution map are currently provided by the following contributors - Richard Rogers. Trevor and Dilys Pendleton. Tim Sexton. Nottinghamshire Wildlife Trust. 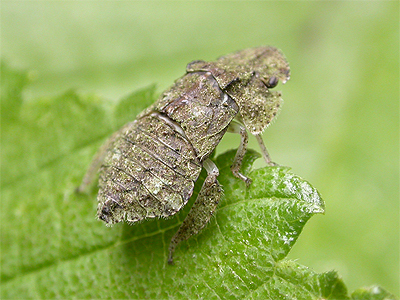 Sorby Natural History Society. Phil Lee. Dave Budworth. Melanie Newman. NBGRC.